Driving innovation, connecting networks and pioneering technologies are at the core of Quasset. 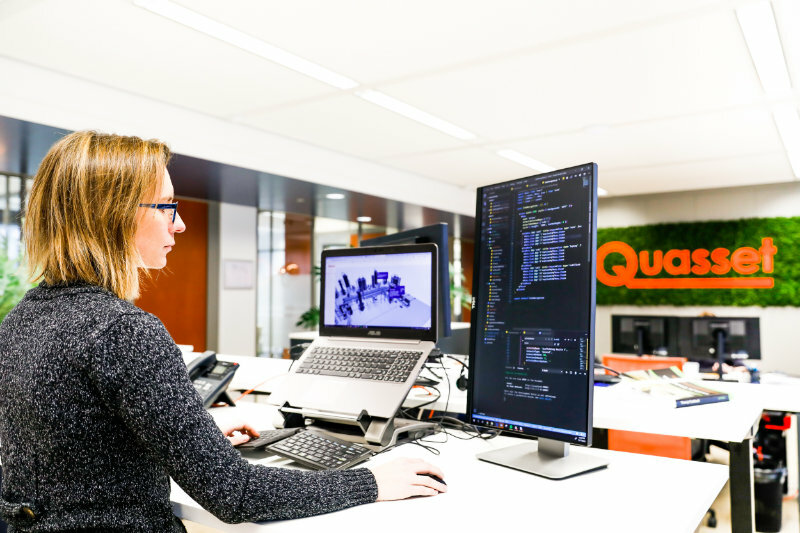 Based in the Netherlands, our international, multi-disciplinary team develops highly innovative products for asset management information and business intelligence on the basis of 3D, virtual, and augmented reality technologies. We offer the opportunity to shape next-generation software products and services in the field of Asset Management, to learn and develop in an open environment, to closely work with and for renowned international clients, and to be a part of digital transformation within the industry. You will be responsible for the conception, planning, implementation, and tracking of projects to ensure successful delivery and execution. The projects are focused at development, implementation and validation of innovations to improve asset integrity management, such as digitization, robotics, permanent monitoring, and business process improvement for public and industrial infrastructure. In addition, you will be responsible for a portfolio of activities in support of the SPRINT Robotics Collaborative, aimed at accelerating global acceptance and use of robotics for inspection & maintenance. Do you get excited about developing concepts into client-oriented products, with the use of innovative technologies and lean/agile methodologies? Then we are looking for you! The Project Engineer will be involved in the full cycle of projects and will be responsible for the planning and execution of projects to ensure successful delivery to our clients. The projects are centered around development, testing and validation of innovative solutions to improve Asset Integrity Management, involving technologies such as non-destructive testing, robotics, virtual reality, augmented reality and data analytics. Join us! Are you passionate about shaping the next-generation software products and services in the field of Asset Management using the latest technologies? Are you looking for a real role from day one, so you’ll get invaluable experience working on varied and exciting projects? Are you passionate about managing engineering projects from planning to execution in the field of innovation driven asset management? Do you want to start your career in a young dynamic international company? Learn more about our job opening for Graduate Project Engineer!